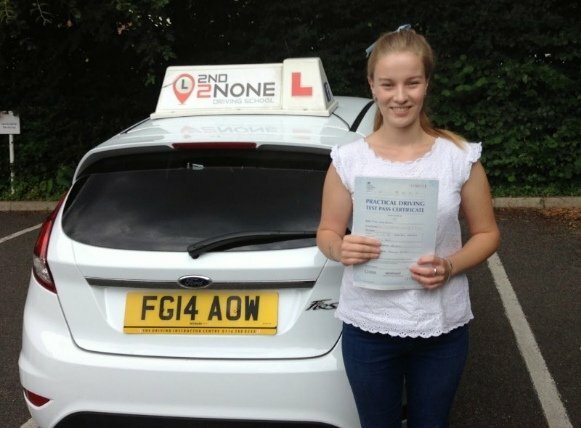 There has never been a better time to start your driving lessons in Leicester and with a driving instructor from 2nd2None driving school you are almost gauranteed a first time pass. We have two manual driving instructors covering Leicester, both driving instructors use modern and new dual controlled cars that are great for teaching learners at all levels of progress. Your driving instructor will be happy to pick you up from home, college or work as long as its within our coverage area. Subject to our driving ingstructors availability we are also able to provide semi intensive driving lessons in Leicester. With a semi intensive driving course your driving lessons will be done in a much shorter time scale of maybe 3-4 weeks. Because of this you will need less overall hours to reach the driving test standard. You will need to have passed your theory test before we can book your practical driving test. Once we have your driving test booked we will book your Semi Intensive driving course leading up to your test on the final day. It can be tough looking for the right driving instructor or driving school in Leicester with so many to choose from how do you know which driving school is the right one for you and your needs. Its not surprising that most people think that all driving instructors in Leicester are the same but did you know that an average 30% of learner drivers change their driving instructor before ever taking a driving test. Put it another way, thats a staggering 234'000 people every year that change their driving instructor. And only 44% of pupils will pass their driving test first time. So making the right choice really does matter and can make a real difference to your success. 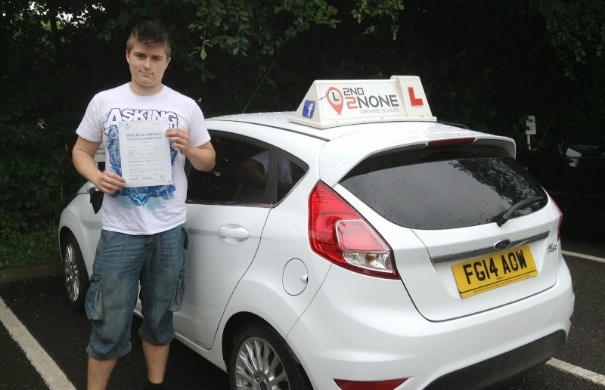 We are driving school that you can trust to deliver high quality driving lessons and the very best customer service. Our driving instructors and office staff will listen to what your needs are and make sure we provide you with the best means to reach your driving goal. From your very first driving lesson in Leicester you will be driving the car, we dont want to spend hours of your time sitting at the side of the road explaining everything from a text book in great detail, of course we will tell you what you need to know to make your driving lesson a progressive and successful one but thats it. No Time Waisting. 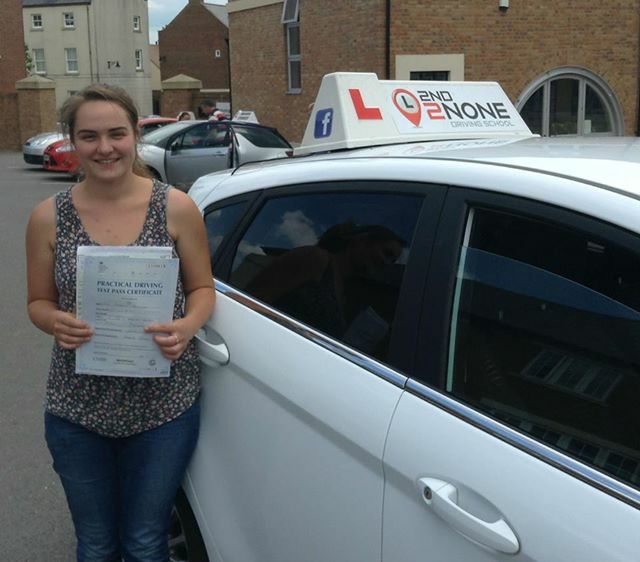 Each of your driving lessons will have a clear aim and achievable goals will be set for you at the start of your driving lesson, so no driving around Leicester aimlessly wasting your time and costing you more money for yet more driving lessons. At the end of each driving lesson your driving instructor will give you feedback using Q&A on your progress and together you can then set the agenda for your next driving lesson. To help progress with your driving as quickly as possible we suggest you start revising for your theory test and we have provided a link here below for Theory Test Pro which is free to all our pupils. If you have any further questions or you would simple like to book your driving lesson please call us on local rate mobile friendly number and our customer services will be happy to help you with your enquiry. I've just passed my driving test first time ! Yepee. Thanks to 2nd2none for helping me along the way and a big thans to James my instructor for giving me guide nice and the confidence to do so. My lessons were fun and a big laugh. I would fully recommend 2nd2none driving school. This is going to make such a difference to my life, I now have my independence now I can drive! Passed my intensive course first time with 6 minors thanks to James and 2nd2none driving School. I felt really prepared and James helped me go over the things I wasn't so confident with before the test. 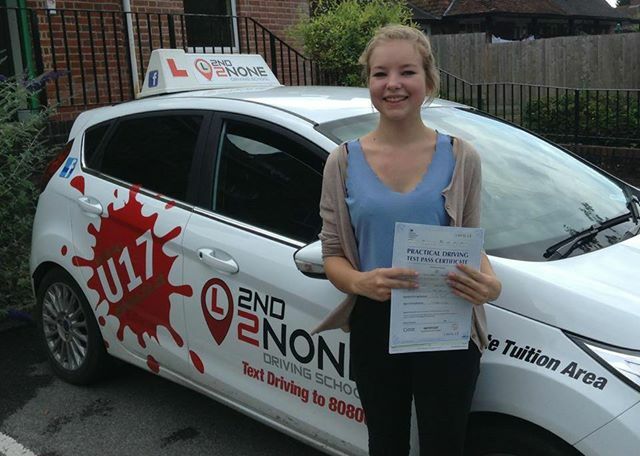 I'd recommend 2nd2none as it has helped me learn to drive safely and pass quickly. Thanks! I passed my test first time with James and I couldn't of done it without him. I was really nervous at first but he helped to build my confidence. I would highly recommend him to anyone who wants to drive. Thank you so much to Steve Ridley who has helped me pass my driving test today. A brilliant instructor and lovely to get on with. When I first started driving, I was so nervous, but learning to drive with 2nd2None was great, I felt at ease in no time, and I've just passed my test first time! My instructor, James, was very helpful, and I wouldn't have been able to do it without him! Thank you 2nd2None Driving School! 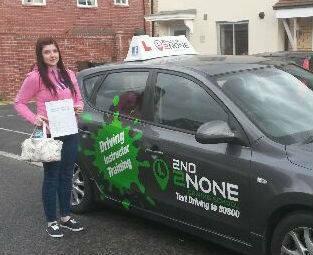 Well done Imogen Woollard on passing your driving test today 1/12/14 driving test centre with your driving instructor Steve Ridley. Imogen says, "Thank you Steve, so pleased ive got it all done and now ive passed it will make such a difference"
A big congratulations to Adam Charity from on passing his driving test today 26/11/14 1st time with his driving instructor Eric Johnson. A big congratulations to Chris Sainsbury on passing your driving test today 01/12/14 1st time with your driving instructor Steve Ridley. Chris said "Thank you very much for helping me to get through my test"
I've just passed my driving test with 2nd2none driving school thanks to my driving instructor James! He was a huge help and I wouldn't have passed without him. The free theory test pro was a huge help for passing my theory test and passed first time just using that. I would defiantly recommend 2nd2none driving school!